The teaching, and principles of Gautam Buddha resonates in various parts of India. Many living Buddhist heritages that dot Bihar, Uttar Pradesh and Nepal has left people awed by its architecture and history. 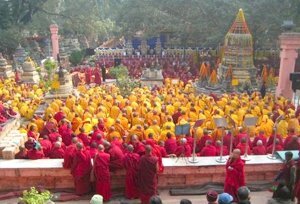 Those who wish to know wants to know about the rich Buddhist culture, its glorious legacy, and history than do sign up for this twelve-day package offered by Tour My India. Starting from Delhi, this twelve-day package would allow you to explore the Bodh Gaya, the place where Buddha received enlightenment; Nalanda, an ancient Buddhist center of academic excellence; Gridhakuta Hill, the place where he spent many years meditating and preaching Dharma, and Saptparni caves, where his first council was organized. 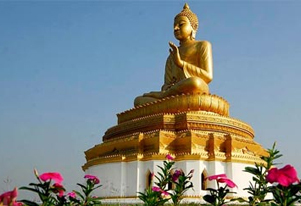 By opting this tour, you will visit Vaishali, where Buddha preached his last summon before attaining Parinirvana at Kushinagar, which is also a part of the tour. Also, you will be visiting Lumbini in Nepal, the birthplace of the Buddha, and Saravasti, where you can find oodles of monasteries. All the architectural splendors included in this itinerary are the testimonial of Buddha's philosophies, preachings and teachings. 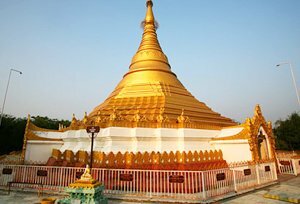 The package includes a visit to all the architectural splendors that are a great testimony of the preaching and philosophies of Lord Buddha. This tour will transport you to all these alluring spectacles to experience absolute enlightenment and inspiration. On arrival in Delhi, meet our representative, who will further transfer you to a hotel in Delhi. The evening will be free for leisure. Dinner and overnight stay at the Delhi hotel. 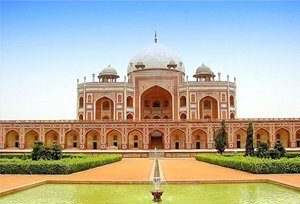 When in Delhi, go for a city sightseeing tour, which includes sites like Raj Ghat (the cremation sites of Mahatma Gandhi), Shanti Vana (the cremation sites of Jawaharlal Nehru), Jama Masjid, Qutub Minar (built by Qutub-ud-Din Aibek in 1199), Humayun's Tomb, India Gate (War Memorial Arch) and Lakshminarayan Temple (a modern Hindu Temple). Also, you will pass by Red Fort, Rashtrapati Bhavan, Parliament House, Government Secretariat Buildings. In the evening, you will be transferred to a railway station to board a train to Bodh Gaya. Upon arrival at Bodh Gaya, meet our representative, who will transfer you to the hotel at Bodhgaya. Later, visit Mahabodhi Temple complex, which features figures of Buddha sitting in different postures on the walls, his footprints on the stones and a colossal golden Buddha in the sanctum sanctorum.The highlight of the complex is the Bodhi Tree, under which Buddha meditated to attain illumination. After a tour of the Mahabodhi temple, return to the hotel for overnight stay and dinner. After breakfast in the morning, drive to Patna. En-route, visit Nalanda, an ancient university founded in the 5th century B.C. 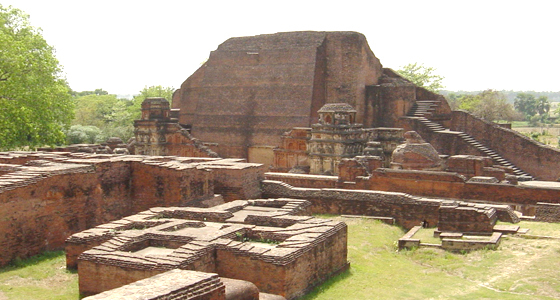 In Nalanda, you will visit an archaeological museum that exhibits the Nalanda University seal, sculptures and other remains found on the site. After a tour of the Nalanda university, drive for 20 km to reach Griddhkuta "Hill of Vultures", the place Buddha delivered some of his most famous sermons. After that, visit Saptparni caves where first Buddha Council was organized. Later continue drive to Patna. On arrival at Patna check-in at the hotel. Overnight stay at the hotel. After breakfast in the morning, drive to Kushinagar. En-route, visit Vaishali, an ancient city where Lord Buddha preached his last sermon. On arrival in Kushinagar, check-in the hotel for overnight stay and dinner. Enjoy a hearty meal at the hotel and go for a city sightseeing tour. After the tour, drive to Lumbini to see the birthplace of Lord Buddha. On arrival at Lumbini check-in at the hotel for overnight stay and dinner. Today, visit Lumbini Park where the Ashok Pillar carries the inscription - where the Buddha was born. Then, visit Mayadevi temple, which is sacred to Buddha's mother. Later visit the China Temple. Overnight stay at the Lumbini hotel. Today, you will drive to Saravasti. In the afternoon, visit the Ananda Bodhi tree where Lord Buddha meditated for a night then visit Jetavan where Lord Buddha performed some miracle. Dinner and overnight stay at the Saravasti hotel. 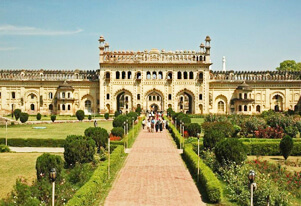 Today, drive to Lucknow, which is approximately 179 km from Saravasti. On arrival at Lucknow, check-in the hotel for overnight stay and dinner. Post breakfast at the hotel, visit the Residency Complex, Dilkusha Gardens, La Martiniere, monuments of Avadh Nawabs including the Imambaras, Romi Darwaja, and bazaars. Overnight stay at the Lucknow hotel. From Lucknow airport, board a train for Delhi. On arrival in Delhi, meet our representatives, who will further transfer you to a hotel. Dinner and overnight stay at the Delhi hotel. Today, after breakfast, you will be transferred to the airport to connect flight for onward destination.